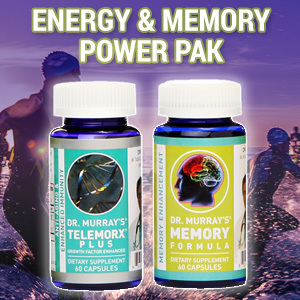 Energy and Memory Power Pak includes Dr. Murray's popular Memory Enhancement Formula and Telemorx Plus® to help you improve your brain function and feel better. 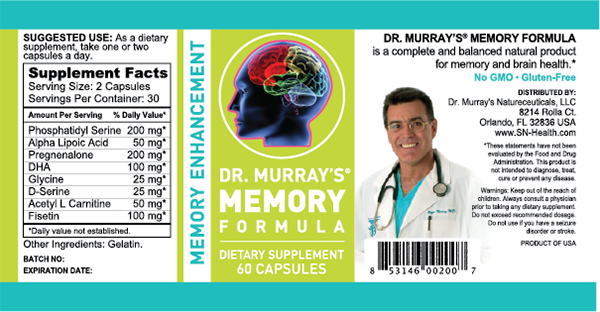 is Dr. Murray's blend of nutrients to help improve brain function. After seeing how expensive it was for patients to buy prescriptions for each ingredient indvidually, he combined all of the ingredients into one pill to make it more affordable and easier for patients to take. The benefits of these key ingredients have been proven by science. Click to view the complete list of Memory Enhancement Formula ingredients in our helpful PDF file. Telemorx Plus® gets its extra boost from organic liquid colostrum that has been diverted through special filters and added to our Telemorx formula which also contains cold-filtrated colostrum. Dr. Murray's offers the highest quality colostrum available, produced by a patented refrigeration process that does not utilize pasteurization or spray-drying, so unlike other brands, Telemorx Plus® retains the highest bio-availability. 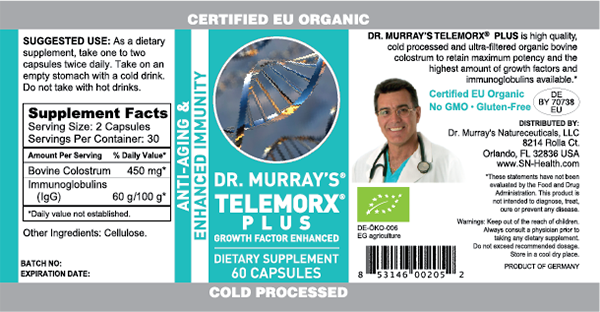 Telemorx Plus® is non-GMO, Hormone Free and Gluten-Free. 30 points will be rewarded to you when you buy this item. Sign into your account to view or redeem your points. When you're signed in, you'll be able to redeem your points on eligible products!